INDIVIDUALS: What do volunteers do for us? Volunteers with our Morris non-profit are the heart and soul of our organization and provide countless hours of help and support to give families a hand up to homeownership. Our program is made possible by the costs saved by volunteers who share their time and talent in all areas of our organization. Our sites in Randolph and throughout Morris County have volunteer opportunities for individuals Monday-Saturday from 8:30am-4pm. All are welcome, no special skills are needed! All we ask for is a smile and a willingness to help. Construction volunteers with our Morris non-profit do everything from pouring footings to roofing and final interior finishes. Our construction day is 8:30 AM to 4:00 PM. Unless otherwise advised, volunteers should bring a bag lunch. Lunch is 12:00 PM – 12:30 PM. Construction volunteers must be 16 years of age to be present on an active build site. Youth volunteers ages 16 or 17 years old must be accompanied by an adult chaperone. Chaperones must be 21 years of age. One adult chaperone is required for every 5 youth. Register on our online Volunteer Calendar before heading out to be sure the site you want to visit is open. Sign up on the desired day and site you would like to build at. Not all sites are open every day. Watch an 18-minute safety course at http://hfhaffiliateinsurance.com/ prior to build day. Scroll down to “Online Safety Training Courses” and click “Begin Now.” Read the entire instructions before clicking on “Take Training Course Now.” Enter code W8NAEBTG, click submit, and then select “Volunteering on a Habitat for Humanity Job Site.” The course covers everything from safety issues to what to wear. At the end of the presentation, simply exit the program. Review the Construction FAQs and bring a signed Release and Waiver Form with you the day of. You can save the blank form to your computer and type in the information before printing it out. A Site Supervisor is in charge of the work and volunteers each work day. All are welcomed-No special skills are needed! Our Morris County non-profit offers various volunteer opportunities to match your skills! All we ask for is a smile and a willingness to help. We will send you home tired, dirty and happy! The Morris Habitat ReStore is a successful retail outlet that provides new and gently-used building materials and home furnishings. Volunteers are vital in keeping the ReStore operating! All proceeds from the ReStore help build decent affordable housing. Our volunteer crew in the ReStore is the heart and soul of the store and they want you to join them! Want to learn new skills, serve your community and help build a house all at the same time without swinging a hammer or getting your boots muddy? Volunteer at the Morris Habitat ReStore! Volunteers must be 16 years of age or older to volunteer without a chaperone in the store. Volunteers between 14-15 years of age must be accompanied by an adult chaperone. Donations Office Assistant: Be a donation previewer and answer questions about potential furniture donations to the store. Cashier/Concierge/Greeter: Work cash register proficiently, know sales promotions for the day, direct customers to the concierge desk, answer general questions and guide customers through store. Truck Driver Assistant: Assist on one of our automatic-transmission box trucks to pick up donations to bring back to the ReStore. Art Department: Help with the pricing and display of art work. Experience preferred but not required. Lighting Department: Help with the pricing and display of various lighting fixtures and lamps. Customer Service Support: Assist shopping customers with current sales promotions and answer general questions. ReStore Collection Team: Research items to determine value, monitor and update store, speak to potential donors and help to ship and photograph items. We are also looking for subject experts in areas such as art, coins and valuables. Register as a new volunteer on the online Volunteer Calendar. Sign up for a ReStore Training. Two-hour first-time training shifts are held Thursdays from 10:00 a.m.-noon or 6:00-8:00 p.m. or Saturdays from 9:00-11:00 a.m.
Review the Attire and Safety requirements on the Volunteer Calendar. Bring a signed Release and Waiver Form with you the day of training. You can save the blank form to your computer and type in the information before printing it out. ReStore volunteers must be at least 14 years of age to volunteer in the store. Youth volunteers ages 14 or 15 years old must be accompanied by an adult chaperone. One adult chaperone is required for every 5 youth. 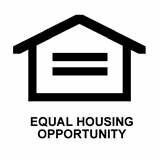 We are looking for members who are realtors, municipal officials, clergy, and others interested in changing housing policy. Our advocacy agenda and action steps are explained on the Advocacy web page. The goal of the committee is to change laws, policies, systems and attitudes to eliminate barriers to adequate, affordable housing in order to create a world where everyone has a decent place to live. Many people know Habitat for Humanity for our outstanding work directly serving communities. To date, Habitat has helped over 6.8 million people around the world obtain a safer place to sleep at night, along with the strength, stability and independence to build better lives. Yet, 1.6 billion people still live without adequate shelter. The housing need is far too great to build one house at a time. But that need can be met, if we use our voices and not just our hammers. Are you passionate about the work that we do in the community? Would you like to learn more about how we work with our Partner Families and community partners? Would you like to share the Morris HfH story with others in our community? If so, we have an opportunity for you! You will help plan and carry out our signature Hearts and Hammer Gala in February and our Hammer for Habitat in spring. Our office is the hub of the organization. Volunteers help with varying tasks from filing, mailings, data entry and meeting preparations as well as light reception duties. Days of Operation: Monday thru Friday Office Hours: 9:30-5:00pm. Volunteers can assist in filing, mailings, data entry, and so much more! Professionals in our area can provide technical, legal and educational services to Habitat as a way of serving the community. Donation of time and expertise greatly reduces financial burden of home construction and mortgage preparation. Help strengthen communities through a year of service. AmeriCorps provides an opportunity for individuals to serve full-time with Habitat for Humanity to help homeowners achieve strength, stability and independence through shelter. You can join thousands of Americans who serve in leadership roles on active build sites or work in local Habitat offices to assist homeowners, volunteers and staff. Our AmeriCorps volunteers have included 2 VISTA volunteers who worked in office administration in 2009-2010 and 7 NCCC volunteers who built homes for 6 weeks in 2015. Create a volunteer profile on our online calendar.